ITHACA, NY — At its May meeting, the Ithaca College Board of Trustees approved promotions for 12 faculty members. In addition, Donald Beachler, associate professor in the Department of Politics, was granted tenure. He received his Ph.D. and M.A. from Cornell University and his B.A. from West Virginia University. Sigma Xi is a national honor society of scientists and engineers who are elected to the society because of their research achievements and potential. Membership in Sigma Xi demonstrates excellence as a researcher and commitment to scientific research. 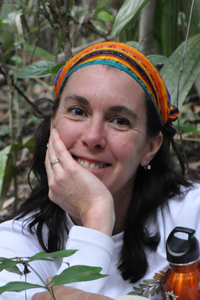 Professor Susan Allen-Gil's Rainforests, Reefs and Ruins course spent three weeks over winter break experiencing culture, economics, biodiversity, and history of Belize. This course was highlighted in Ithaca College's Fuse Magazine in March, 2011. Here is a link to the Fuse Magazine Article to learn more! Chemistry '10 Alyssa de Villiers publishes paper "Investigation of an herbal Dewormer as an Alternative Treatment Method. Part II: Chemical Analyses with HPLC and Handheld XRF"
in Proceedings of the National Conference On Undergraduate Research (NCUR) 2010. Alyssa gave a talk on this work at NCUR 2010 at Missoula, Montana. She was mentored by Professor Akiko Fillinger of the Chemistry Department and Professor Susan Allen-Gil of the Environmental Studies and Science Department. Susan Allen-Gil travelled to Denver with other IC faculty to participate in AASHE's 2010 Conference and Expo. She served on panels and sessions addressing the Copenhagen Climate Change Conference, IC Climate Action Plan implementation, climate education, international sustainability education, and a panel entitled "Is It Time for a Revolution?," again demonstrating Ithaca College's leadership role in addressing climate change and sustainability issues.